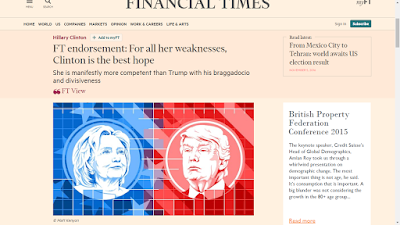 Based on information in leaked emails, it's okay to conclude that Hillary can go to any lengths to win this election. 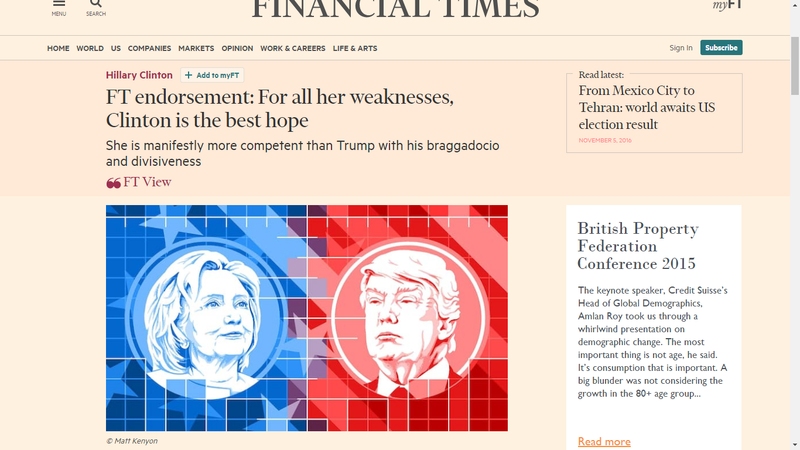 Any amount of corruption and rigging are okay for her. 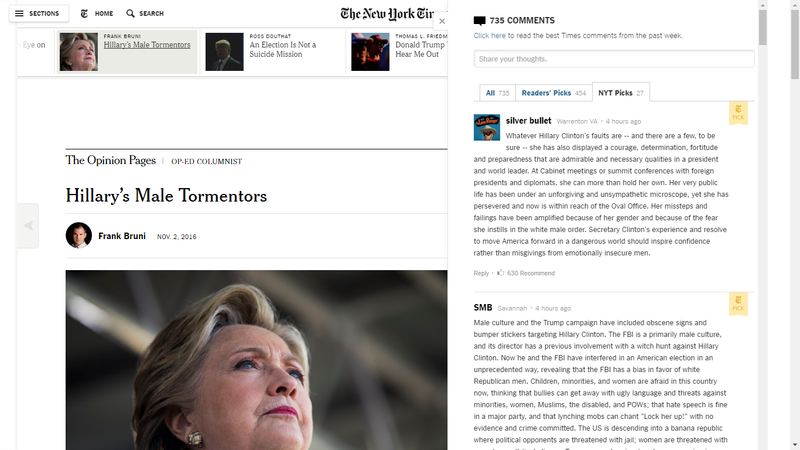 Why are top/most-recommended comments on NYT articles extremely/unusually pro-Hillary, while comments on other publications [FT, WSJ, etc. 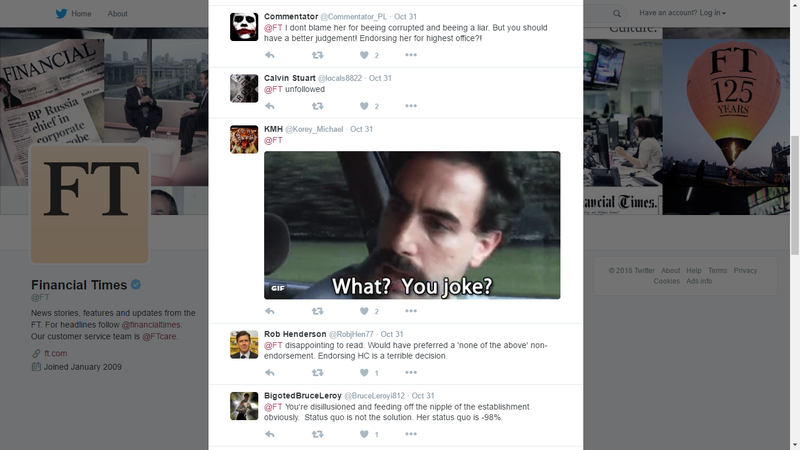 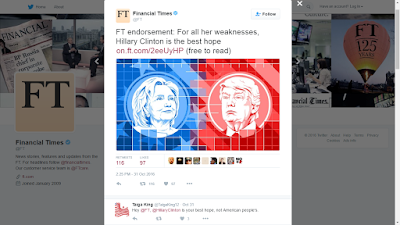 ], either not so pro-Hillary or outright against her? 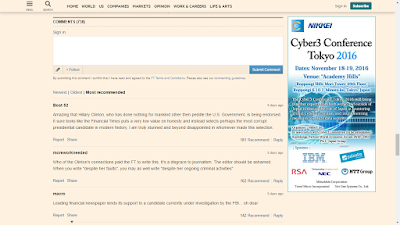 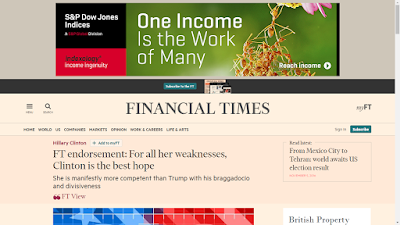 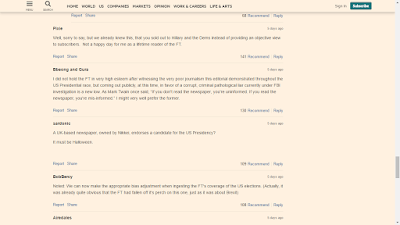 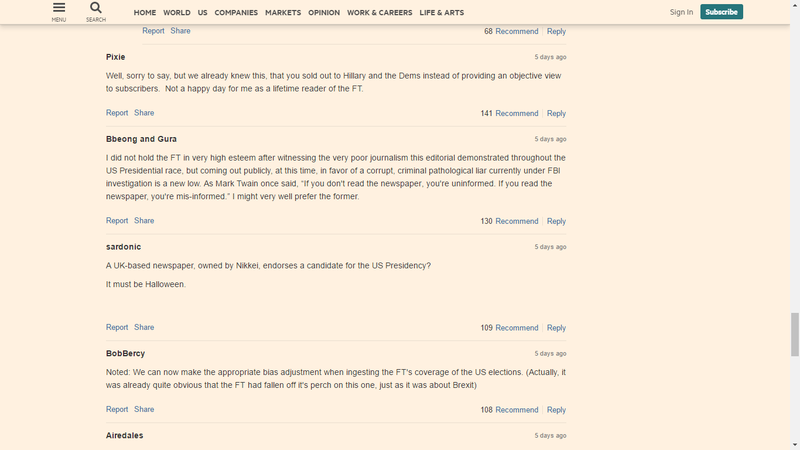 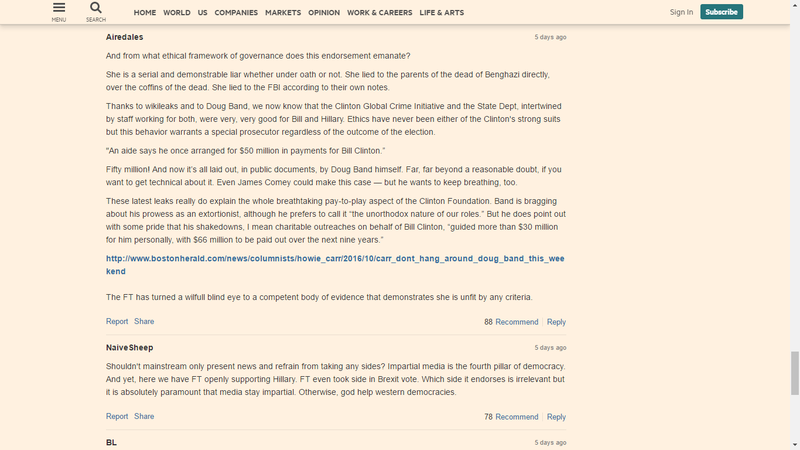 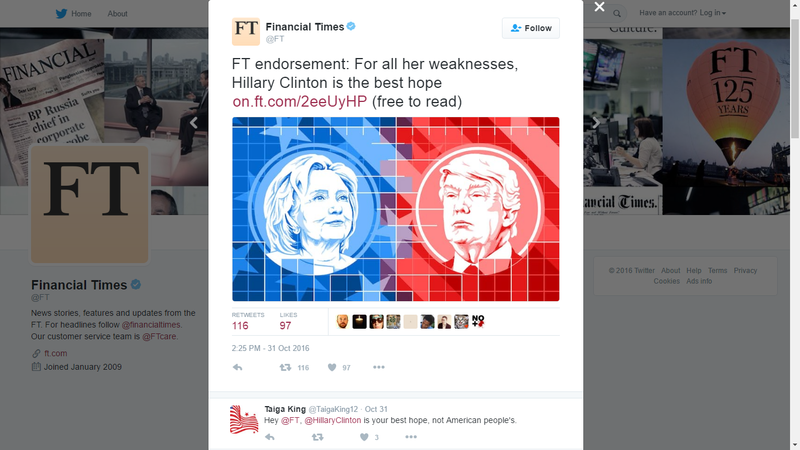 FT article endorsing Hillary as well as FT's tweet about it both have extremely anti-Hillary [and anti-FT] top comments. Top comments on this shamelessly pro-Hillary piece on NYT are also extremely pro-Hillary. 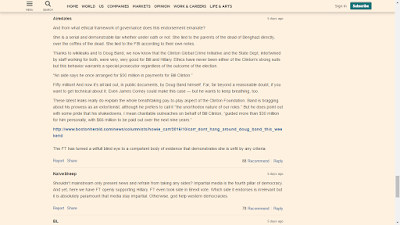 They don't seem like normal comments written by ordinary people, but feel like professionally crafted paragraphs composed by experts at Hillary's campaign, with caution about Hillary carefully sprinkled here and there in order to appear balanced and not blatantly fake.